Explanations | Scene Lingo - Definitions from the "Scene" ! Members of the Scene are sometimes in multiple groups. Different groups can be run by the same people. Why do they do this? One of the reasons is to differentiate in the content they release: a different group name for each scene or type of content. It’s rather weird to see a group use the same name over many categories, like aAF for example. Other reasons are when FTP sites don’t have both sections you want to do as group, different genres (e.g. classic films or music), sometimes same supply but different members and sometimes good old whorage. This blog post tries to list groups that are essentially the same or that have been merged. It’s not supposed to be a secret in most cases, but it’s far from obvious for the casual eye. It’s more obvious to other groups or anyone who follows sections closely. Sometimes there are long lines of connected groups that aren’t so obvious, with members changed between them slightly, like FLT/CLASS/ECHELON/KALISTO/ProjectX/Mode7/STARCUBE. It actually makes the scene look like its got a lot more active people than it really does. FTP, SPRiNTER [PROOF] – SPRiNTER does retail movies and series. FTP does TVrips. Do you know more groups or have proofs? Let us know! Thanks to #mp3scene for insights. How to play RAR files without unpacking them? Have you ever had the problem that you needed to decide whether to throw away the downloaded RAR files or the extracted video files? The choice between sharing and the comfort of playing video files? You don’t like RAR files because it takes time to extract them? Don’t worry, these problems have been solved with various solutions. Which one to use depends on the situation and your personal preferences. It is annoying to unrar the movie before you can watch it. It creates duplicates of the files that you have and takes up precious hard disk space, not to mention time! Most trackers require you to keep the downloaded file for seeding, so you can’t delete the RAR files. What if we could watch RAR movies without the need to decompress them! There are a couple of ways to do this. We’ll list them in this article. RAR files originating from the warez scene adhere to a certain set of standards. 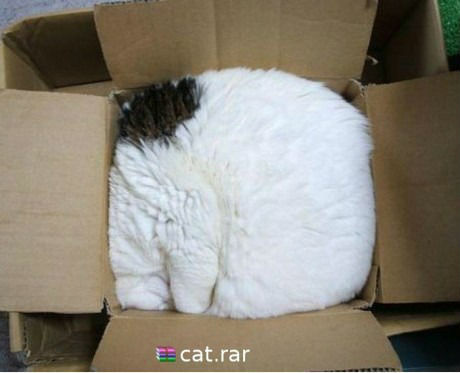 One of these rules is that it is forbidden to use compression when creating RAR volumes. This means that the video file is chopped up into pieces, and thus making it possible to play the archived movie file by getting the data from the right RAR volume without the need of going through some extraction process first. There are already quite a number of players that use this idea to directly play your movie from the RAR files! No more waiting for an extraction to complete, view stuff from a partial download or just simply gain a little time. In this blog post I will try to list all current tools and players with the capability to play the contents of uncompressed RAR files and talk a bit more about ReScene: the technology to recreate the original RAR archives based on the extracted contents. RARFileSource is a DirectShow filter that lets most video players read RAR files on the fly. Media Player Classic – Home Cinema or even Windows Media Player play RARs without a problem. The biggest advantage is that it lets you select the file you want to view when loading a .rar file with multiple files in the archives. 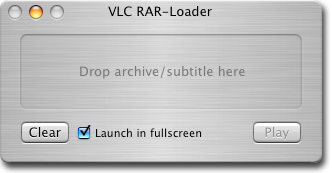 The built-in functionality of VLC will only play the first file. The biggest disadvantage is that it doesn’t support the playback of rared .mp4 files yet. (April 2012) MP4 has been recently introduced by the scene as the new container for x264 television rips. Edit: RARFileSource with mp4 support can be downloaded here. FUSE module to mount uncompressed RAR archives. It makes the contents available as a directory. It is included in some custom firmwares such as WDLXTV-Live/Plus since version 0.3.4.4. Filesystem in Userspace (FUSE) is a loadable kernel module for Unix-like computer operating systems that lets non-privileged users create their own file systems without editing kernel code. FUSE is particularly useful for writing virtual file systems. Unlike traditional file systems that essentially save data to and retrieve data from disk, virtual filesystems do not actually store data themselves. They act as a view or translation of an existing file system or storage device. RARMounter is a MacFUSE module that you can use for mounting RAR. It is packaged as a launcher application (RARMounter.app) that you can open your RAR files with, from the Finder (drag and drop to the application icon), or through the launcher’s main window. Note that only uncompressed entries in the RAR file can be read, the others will appear as 0-byte files in the file system. The reason is that the current RAR-decompression (sic) algorithm is covered by patents and no open source implementation exists. This however, is enough for opening most highly compressed video files inside RAR archives. Since they don’t benefit at all from further compression, they are usually just stored in the RAR. RARMounter can also manage split archives: .r01, .r02 etc, as well as .part01.rar, .part02.rar etc. FUSE module to mount uncompressed RAR archives. Seems to be a successor for rarfs. It uses “Unrar C++ Library” by Alexander Roshal, the creator of WinRAR, to support RARs. First stable version released April 2011.
rar2fs is a FUSE based file system that can mount a source RAR archive/volume or a directory containing any number of RAR archives on target and access (read only) the contents as plain files/directories. Other files located in the source directory are handled transparently. Both compressed and non-compressed (store) archives/volumes are supported but full media seek support (aka. indexing) is only available for non-compressed plaintext archives. If a RAR volume is selected as source, the file specified must be the first in the set. Winmount is a powerful windows utility which is dedicated to managing files and disks impressively and conveniently. It’s a compression tool, also a virtual disk tool ( Mount RAR ZIP MOU and CD DVD HDD images as virtual disk/folder ). The most characteristic feature is virtualizing compressed archives. That is mounting compressed archives to a virtual disk or a virtual folder without decompression, all actions are taken in a virtual path, protect hard disk, save space. Installing Games from compressed RARs seems possible with this tool! Rar Mount is a virtual disk application that mounts uncompressed (a.k.a. stored) RAR archives to a disk drive (for example Z:). The application is completely written in C#, and makes use of Dokan’s excellent virtual disk driver. Dokan Library is similar to FUSE (Linux user mode file system) but works on Windows. This tool did not work for me due to a driver issue upon installation. The newest version 0.2 is released on 2009-10-06. The source code is public and can be downloaded from the site. Rar Mount is designed to be used with Media Portal, an open source media center for Windows. PyarrFS is a FUSE based file system to access the content of RAR archives as if they were just normal files and directories. PyarrFS owes technically to FUSE and rarfile, while the idea originates out of YarrFS – a similar file system written a few years back by a colleague (and based on my idea). This code was inspired by the xmp.py example written by Jeff Epler and Csaba Henk. Thank you! Thanks to the folks who wrote FUSE and thanks to Marko Kreen for putting together rarfile! Only for VLC versions < 1.0. This plug-in seems better than the built-in RAR support for version 1.x. The VLC UnRAR plugin turns VLC into a RAR player that allows you to watch videos (including seeking) directly from inside multi-volume RAR archives without the need to manually unpack them first. No more waiting for files to extract, simply open the archive as any other video file and watch! Just download the plugin for your operating system, follow the installation instructions and you’ll have a RAR player in no time. There is no pre-extraction, piping or other ugliness, video data is extracted on-demand when requested. This means that it’s possible to stream a RAR archived video over a network connection (even wireless connections works). Completely FREE with full source code. Supports RAR archived DVD images! The plugin has some limitations, some of which might be fixed in future versions. Seeking only works properly with m0 archives (archives without compression). Don’t worry, almost every volume is archived using this option. It does not support multiple files inside an archive, the largest file is selected. Make sure you have activated the plugin in VLC preferences. In preferences, select Input / Codecs » Access filters and check the box named “UnRAR”, then click save. You must first click “All” to show all available preferences. No explanation needed, we all know this all-round player. The plugin above isn’t necessary anymore, but use the same steps to enable the filter for playing RAR files. Dedicated RAR player created by Kamil Dzióbek. In development since 2006 and probably one of the very first players with RAR support. Based on MPlayer, but not in compliance with the GPL as the source isn’t public. The author seems dyslexic as the English is very bad. Because of the MPlayer heritage, there are a large amount of features available. 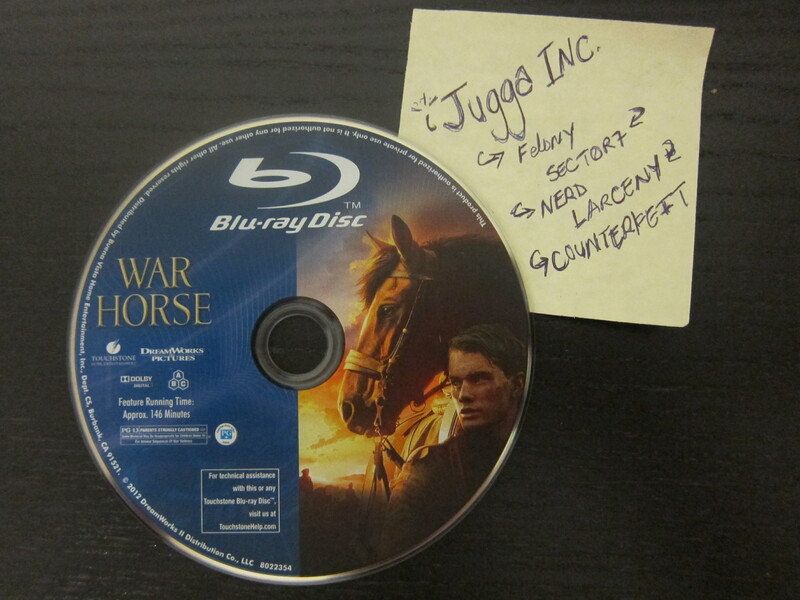 However, the integration for downloading subtitles from websites like OpenSubtitles.org or thumbnail generation makes this player unique. It has the ability to stream a movie from compressed RARs, but no seek possibilities are possible. 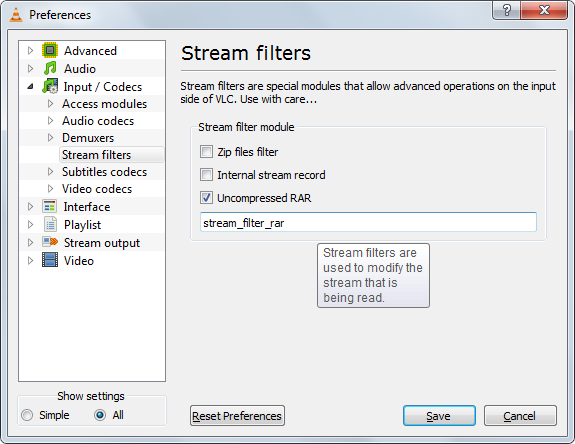 Dziobas Rar Player allows you to play movies and audio compressed in RAR files. Compressed video is a great way to download and share movies, but it does have a downside in that you normally need to wait for the whole thing to unpack in WinRAR before you can see it. Dziobas Rar Player solves that problem, by allowing you to watch parts of a video before it has fully unpacked. 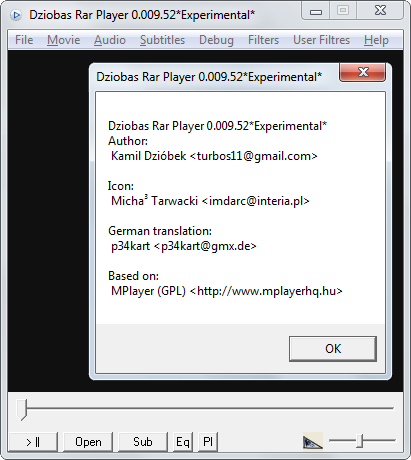 Dziobas Rar Player includes a surprising amount of functions, based around Media Player Classic. You get options for resizing the viewer, adjusting the video settings, and altering the playback speed. There’s even a tool for handling subtitles, allowing you to speed them up or slow them down to fit the video. There is support for a range of video formats in Dziobas Rar Player, including MVK, RAR, DVD, AVI, MPEG, OGG, RAR and even password-protected RAR files. Although the quality of playback can be a little jerky, Dziobas Rar Player provides a great way to make sure that your compressed video files are in tact and that you’re actually unpacking the right movie. Kantaris Media Player aims to be an all-in-one media player that provides a great audio and video experience. Kantaris is an open-source alternative to Windows Media Player with similar GUI and features. Video playback is based upon Videolan Client (VLC) which enables Kantaris to play almost anything without the need of installing any codecs separately. 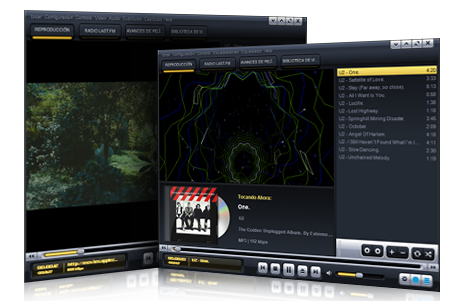 It features an attractive skin, some nice audio visualizations, and integration with Last.fm and Apple movies trailers. If you don’t use VLC, I suggest you get SPlayer. It is fast, light weight and plays rar movies (even 1080p) without any lag or delay. Very good quality playback. I would recommend this player for RAR video playback. Commercial software. Adware with the free version. Are you looking for a way to avoid the timely multimedia file opening? BS.Player™ 2.58 enables you to drag and drop your file your file from any location on your computer to BS.player and the fun can begin. BS.Player can play any multimedia file – even if its being archived in multiple volumes as rar. Now, there is no need to unrar your multimedia files every time you want to see them, simply right click on the first file of the rar archive (usually filename.rar or filename.001) and select ‘Open with BS.Player’ and let your favorite multimedia player do the rest! BS.Player will even properly display subtitles from double rared Vobsubs! Has the capability to on-the-fly pause and play DVD-Video movies that are stored in ISO and IMG DVD-images, DVD-Video movies that are stored as DVD-Video (IFO/VOB/BUP) files on a harddrive or network-share, and also ISO and IMG DVD-images directly from uncompressed RAR and ZIP archives. Anno 2006. No seek support. 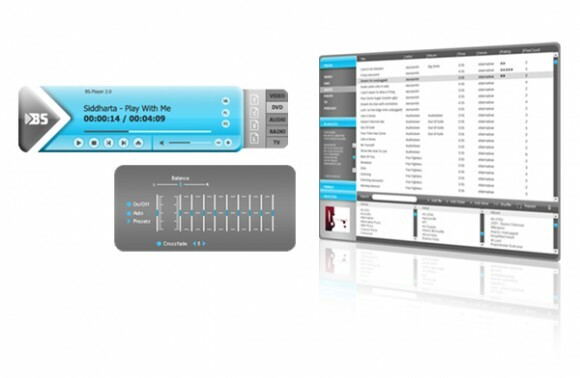 RARPlayer is the name of version 0.2 while version 0.3 is called VLCRAAR. Written in Java. 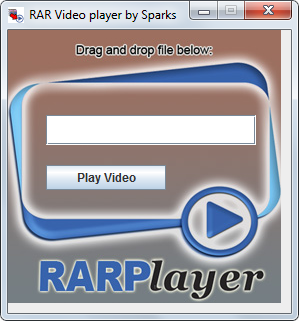 This small program allows you to play a video directly from a RAR file and do so in real-time. Both VLC and MPlayer are supported video players. VLCRAR sounded too boring, its late and it sounds funny atm. To use simply associate with .rar or drag a rar file onto the executable. What about those new MP4 files? There were lots of troubles with this container in the beginning. 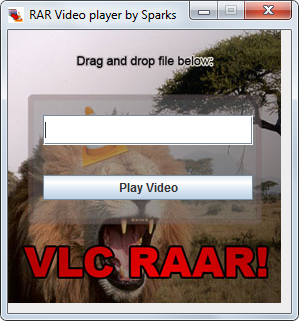 Use the latest version of VLC, SPlayer or one of the tools that mount a RAR file. SPlayer uses unrar from Rarlab to access the contents of a RAR file. This enables the player to open all kinds of RAR files. Don’t use RARFileSource in combination with SPlayer if you want those .mp4 files to work. Even if you bother to unpack everything or you have some tools that do this for you, there will be some situations where it would be very helpful if you still had the original RARs. It could be for reseeding a dead torrent, helping a fiend in need of a missing file, not having to repack your upload to Usenet or you’ve started to enjoy the DC Spirit. For others it’s the habit of collecting and wanting to have the original stuff over extracts, repacks or p2p stuff. The original software used to create SRR files is a command line utility. A graphical front end is created and can be downloaded here. Srrdb.com is the largest online collection with more than 300.000 SRR files. The collection is growing daily, but you can help out too! I have a release that does not work! Too long, won’t read: the RARs are compressed. Some scene groups use custom tools that don’t follow the spec. Use the latest version of the software. What follows is some technical research. The main reason that the RARs won’t play will be that the RARs use compression. Most software doesn’t use unrar from Rarlab and thus won’t be able to decompress the files. There is only one open source and free implementation of the RAR decompression algorithm: Unarchiver. Note the source code of unrar is also open, but not free. Some groups might have corrupted the RARs on purpose, but the most plausible explanation is that those groups use some custom tools that have bugs in them. I’ve yet to find a rar version that yields the same results. The RAR file format exists of blocks listed after each other in the file. One of these blocks is the archive end block. This block is optional but it is used by WinRAR when creating multiple volume archives. It has a number of the current volume and a CRC32 hash of that RAR volume included. ASAP does not use this RAR block for example. This isn’t so strange yet as rar has an option not to include this block. The inclusion of this block is so common that multiple RAR players/mounters failed on ASAP archives. -Invalid block header CRC found: header is corrupt. P0W4 didn’t leave this block out for some of their releases, but they replaced everything with zero bytes up till the point that WinRAR doesn’t complain when opening the file. This causes issues for other software. The latest ReScene version, ReScene .NET 1.2, is not able to successfully reconstruct the RAR archives. Only the header length field of the block is fine. Most dvdrips of P0W4 are fine. When a block has additional data, the LONG_BLOCK flag is set to indicate there will be following more bytes, e.g. a file. Because there is always more data expected for a file, WinRAR doesn’t fail but some other parsers did. -LONG_BLOCK flag (0x8000) not set for RAR File block (0x74). - Workaround to allow loading archives with missing LONG_BLOCK flag. MHD_FIRSTVOLUME incorrectly set on all parts. If you linked .r00 to MPC-HC and .r01 to Windows Media Player, respectively clicking those files would open said player with the RAR contents playing. The use of the MHD_FIRSTVOLUME flag in the wrong volumes made this impossible. -MHD_FIRSTVOLUME flag set for psychoville.s02e02.hdtv.xvid-river.r00. -MHD_FIRSTVOLUME flag set for psychoville.s02e02.hdtv.xvid-river.r01. -MHD_FIRSTVOLUME flag set for lie.to.me.206.lack.of.candor-sitv.r00. -MHD_FIRSTVOLUME flag set for the.gadget.show.s15e17.readnfo.ws.pdtv.xvid-barge.r00. -MHD_FIRSTVOLUME flag set for twiz-pirates4-1080p.r00. -MHD_FIRSTVOLUME flag set for the.crow.city.of.angels.1996.720p.bluray.x264-nodlabs.r00. -MHD_FIRSTVOLUME flag set for tomcats.2001.720p.bluray.x264-psychd.r00. -MHD_FIRSTVOLUME flag set for pawn.stars.s04e54.patriot.games.hdtv.xvid-lmao.r00. -MHD_FIRSTVOLUME flag set for true.blood.s01.dvdrip.xvid-reward.subpack.r00. -MHD_FIRSTVOLUME flag set for citizen.kane.1941.720p.bluray.x264-amiable.r00. -MHD_FIRSTVOLUME flag set for css.wc.12.sjusjoen.men.free.15km.720p-skis.r00. -MHD_FIRSTVOLUME flag set for sir.david.attenborough.frozen.planet.s01e01.1080p.bluray.x264-shortbrehd.r00. XII/ASAP/IMMERSE. The problem is in all their releases. Are all the groups the same people or do they share a common tool? Maybe there is a RAR version that outputs RARs like this but I doubt that. Do you know any other groups? Let us know in the comments if you know more tools or players! Note: An interesting solution to extracted files has recently arisen, which lets you recompress extracted files into their original .RAR files! Read about it here! 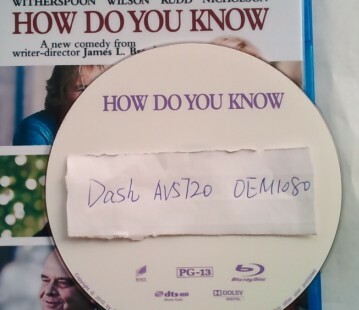 What is an “mkv” file, and how do i play it? What’s the difference between “720p” and “1080p”? How is a 1280×544 film considered to be 720p? Why are releases compressed into multiple RAR archive parts? Why are there no spaces in scene release names?